The American Council of Academic Plastic Surgeons has named Michael Neumeister, MD, FACS, chair of the Department of Surgery and a professor of surgery at SIU School of Medicine, the organization's first Outstanding Faculty Teacher. The council will present the award during its annual business meeting on Saturday, April 6, in Baltimore. Neumeister joined SIU Medicine as an assistant professor of surgery in 1997. In 2012, he was promoted to chair of the Department of Surgery. 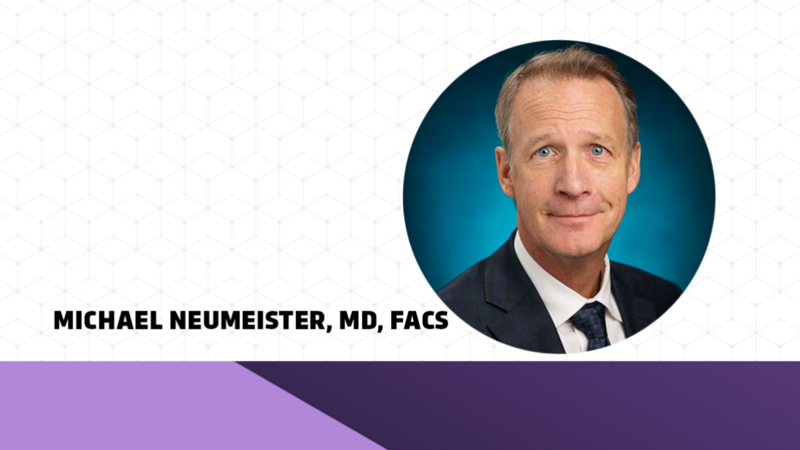 Neumeister is considered an international expert in reconstruction, hand and microsurgery. A native of Victoria, British Columbia in Canada, Neumeister earned his bachelor's degree in 1984 in physiology and pharmacology at the University of Western Ontario. He earned his medical degree in 1988 at the University of Toronto and served an internship at Toronto East General Hospital. He completed residencies in general surgery at Dalhousie University in Halifax and plastic surgery at Manitoba University in Winnipeg, finishing in 1996. He also completed fellowships in microsurgery/hand surgery at Harvard, Brigham & Women’s Hospital in Boston and SIU School of Medicine, 1996-1997. He is board certified in plastic surgery by both the Royal College of Surgeons of Canada and the American Board of Plastic Surgeons. The American Council of Academic Plastic Surgeons is composed of the program directors, chairpersons and associates of American College of Graduate Medical Education-approved plastic surgery residency programs in the United States. Its goal is to provide leadership and support for educational programs for plastic surgery residents. The curriculum for resident educational programs in the US has been derived from the efforts of members of this association.